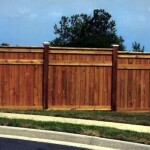 The classic American wood fence is a hallmark of the American landscape. While the ingenuity of the American spirit developed a wide range of fence materials that varied regionally over time, the first wood fences appeared in colonial Virginia, not far from the wood fences in suburban Springfield, VA today. The split-rail fence, also known as a log fence, worm, or snake fence, was the first simple wood fence constructed in America. Built using the abundant, rot-resistant Chestnut tree, without nails or fasteners, the easy to split rails were stacked in an interlocking zig-zag pattern. The elegant design gave early frontiersmen a versatile, easily manufactured and repaired wood fence for decorative and agricultural uses. 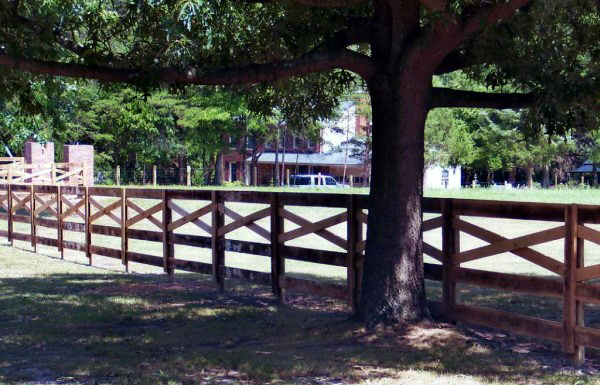 The iconic split rail fence is also 100% natural, easy to recycle, and life-sustaining – both armies relied on split-rail wood fences for firewood to survive during the Civil War. By 1850 roughly 3.2 million miles of wood fencing crisscrossed the country. The race to the Pacific fenced in farms, ranches, logging camps, railroad facilities, towns and military outposts. At that time fences rotted rapidly, not like the chemically treated and naturally rot-resistant woods we use today. Wood still remains the most popular type of fencing material. 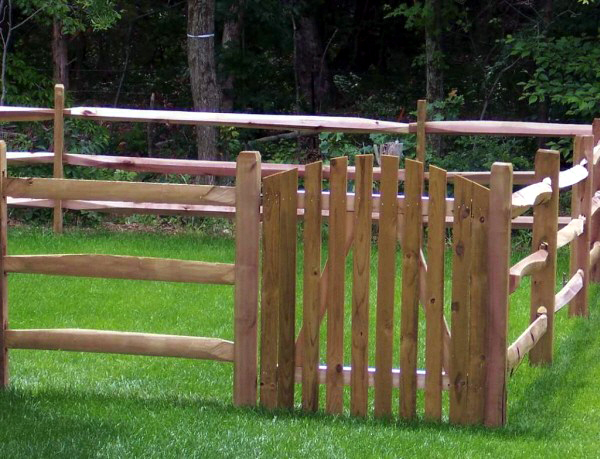 In 2007 alone, Americans installed 59,000 miles of wood fencing – enough to circle the Earth twice. 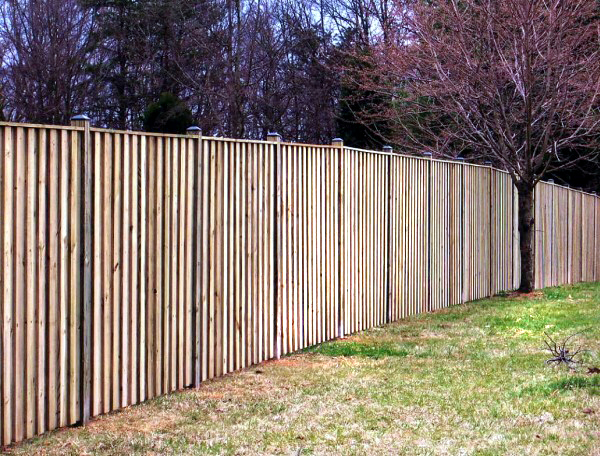 Why choose a wood fence for your Springfield, VA property? It is inexpensive, lightweight and easy to shape, and it is a renewable resource. 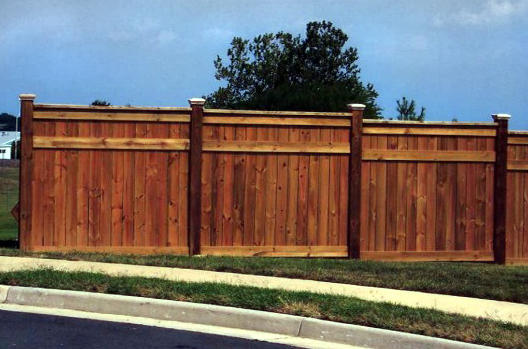 Nowadays wood fences come in a variety of styles, shapes and colors, with features such as post caps, finials, privacy toppers and gates. Whether you need a fence for privacy or security reasons, or simply want to add decorative curb appeal, there are many wood fences to choose from for your Springfield home that can give you up to 20 years of beautiful, functional wood fencing. Select the highest grade wood you can afford, and budget in necessary maintenance and repair costs over the expected serviceable life of your fence. Determine your primary objectives, be they color, style, or function. Make sure to check local zoning requirements and any homeowner’s covenants before you make your decision. 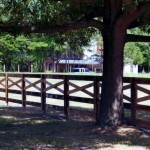 Find fence pictures you like and share them with a licensed, experienced fence installer. All of these steps will lead you to choose the wood fence that best suits your needs at your Springfield home.